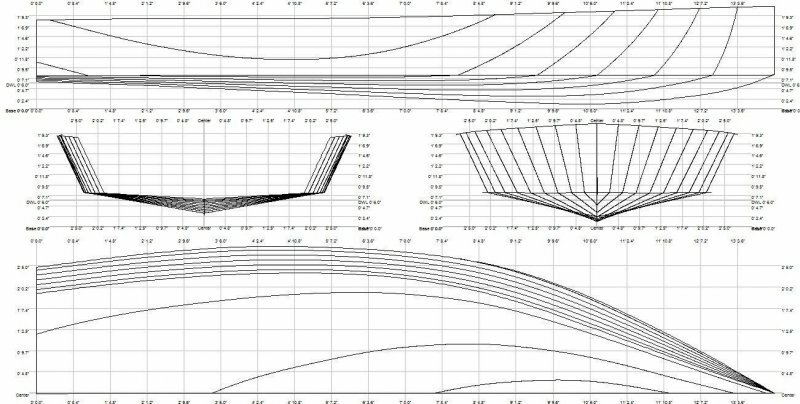 Inspired by Philip Rhodes’ Bantam and Uffa Fox’s Jolly Boat, Corsair has a Suicide sail plan with a wishbone boom. 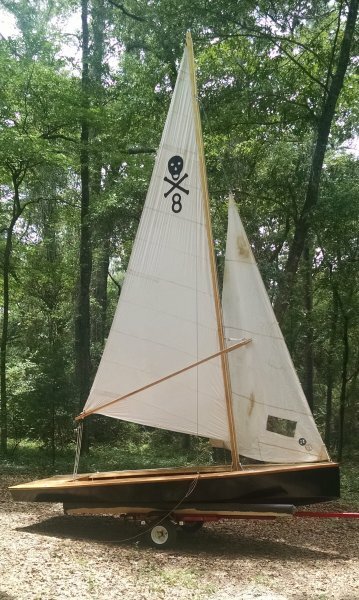 The current mainsail was donated from Suicide #8, Joker. The underbody of the boat has a fine, deep entry with a long flat run which should plane easily. 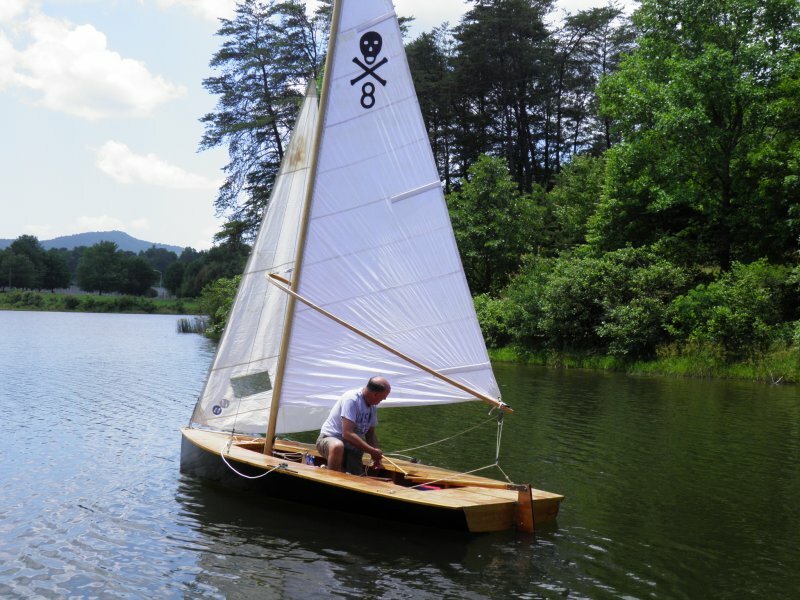 The boat is sheathed with 5/32″ okoume plywood, with cypress keel and pine ribs and centerboard trunk. The designed hull topsides were lowered to reduce weight. While it has not been weighed, the hull probably weighs less than 150 lbs. The lines were drawn with “Delftship” software. The hollow mast is constructed of white pine with a bolt rope slot and weighs 20 lbs.